Extra help is especially needed at this time. 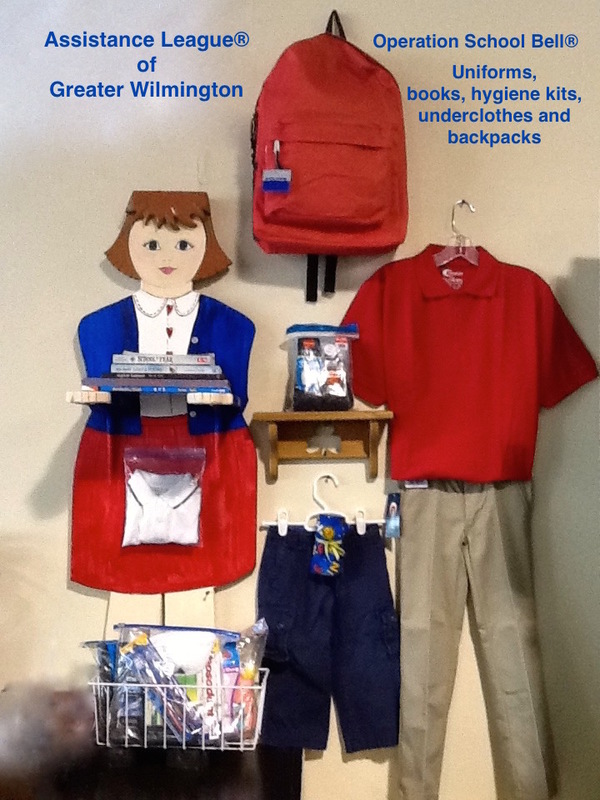 A $75 donation gives a child a backpack, 2 shirts, 2 pants, underwear, a hygiene kit, 2 books and a big SMILE. 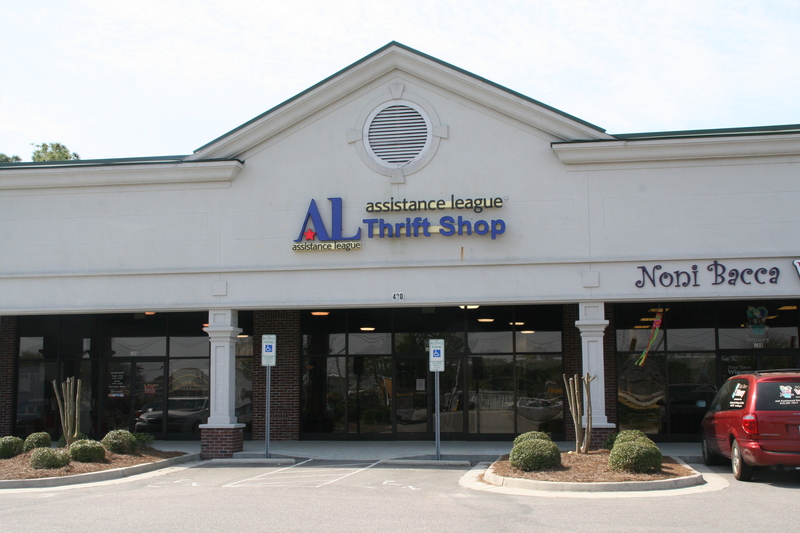 Assistance League of Greater Wilmington is an all-volunteer nonprofit organization that is transforming lives and strengthening community through our philanthropic programs that serve the Greater Wilmington area. 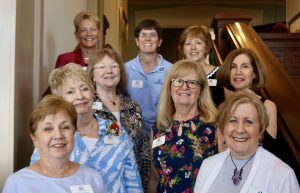 Our local chapter is one of 120 chapters of National Assistance League that started in Los Angeles in the early 1900s. All funds raised are returned to the local Greater Wilmington community. Since becoming a chapter in 2012, our Philanthropic Programs have given over $800,000 to help those in need. 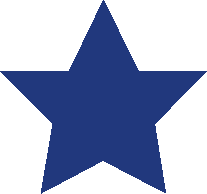 Operation School Bell is the national philanthropic program. 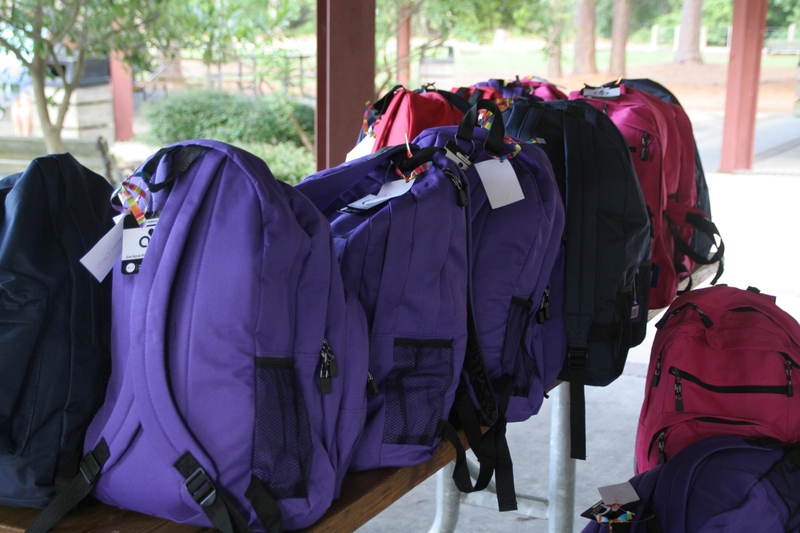 Children in New Hanover, Brunswick and Pender counties receive new clothing, school supplies and books to enhance self-esteem, promote learning, and encourage regular school attendance. 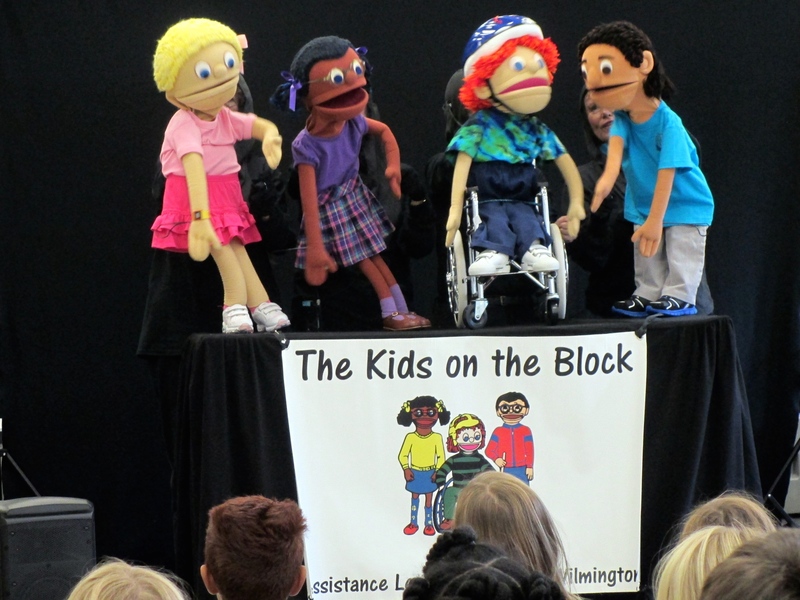 The Kids on the Block addresses disability awareness and social issues, using 3-foot puppets that interact with children. 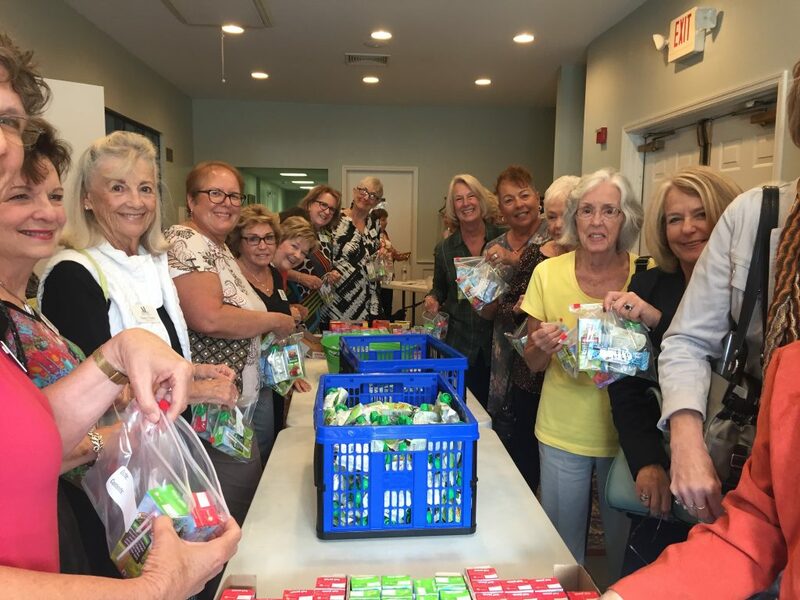 Volunteers from Assistance League of Greater Wilmington perform at elementary schools and community organizations in three counties, at no charge. 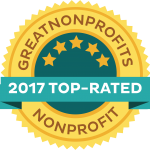 Links to Learning is a program in which monetary awards are provided to educators to enhance the school curriculum and stimulate creative thinking in a variety of situations within the classroom setting. 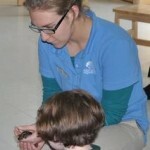 This program presents a monthly social activity to seniors in low-income retirement facilities. 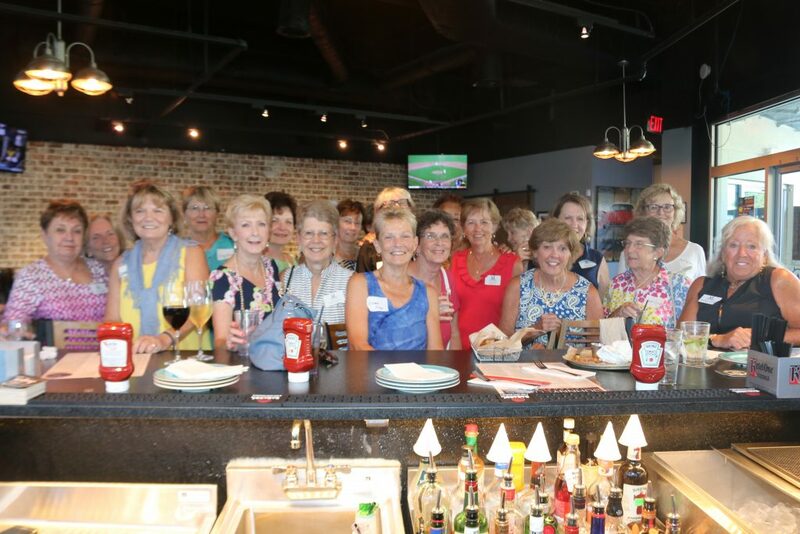 Our chapter also supports the Grandparents Support Network through programs including the distribution of clothing and supplies to the children and hosting a holiday dinner for the grandparents. 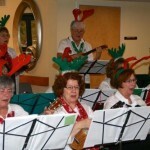 Slightly Off Key Stringalongs is a ukulele, rhythm instrument and singing group of members who present music programs at assisted living and long-term care facilities in our community. SECU Family House is an overnight facility for out-of-town patients receiving medical care at New Hanover Regional Medical Center. 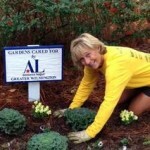 We help to maintain their gardens. 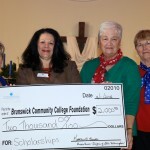 We provide scholarships to students at Cape Fear Community College and Brunswick Community College. 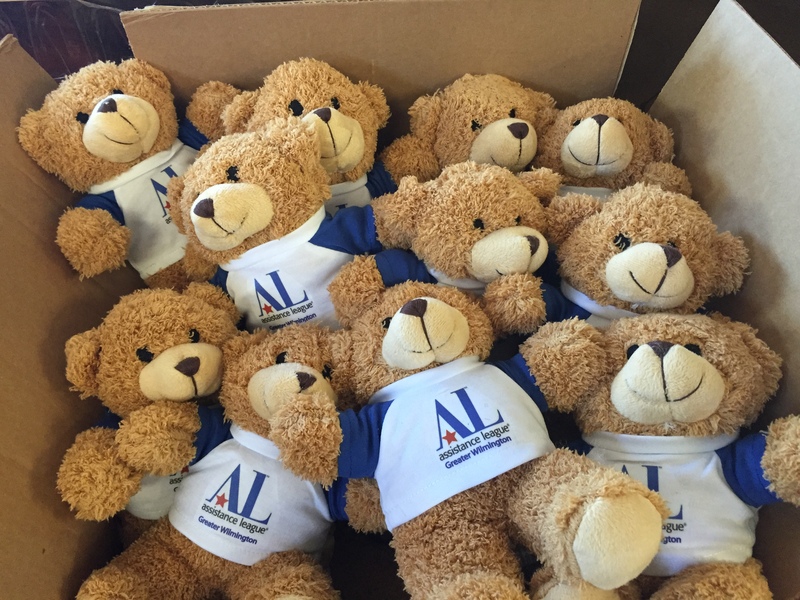 We provide teddy bears to children receiving treatment at New Hanover Regional Medical Center and other facilities. 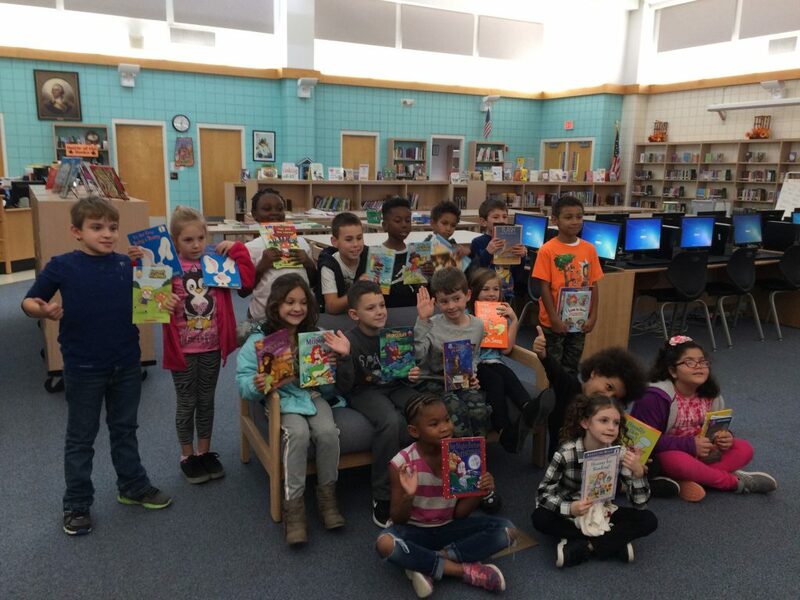 Tennessee schoolchildren held a book drive to benefit Hurricane Florence victims. See the whole article in the StarNews. Click on the article or here. 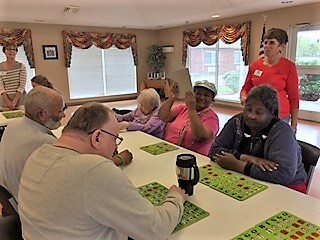 Bingo at Leland House is a fun event. 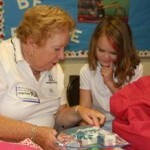 Our volunteers meet monthly to socialize with the residents. 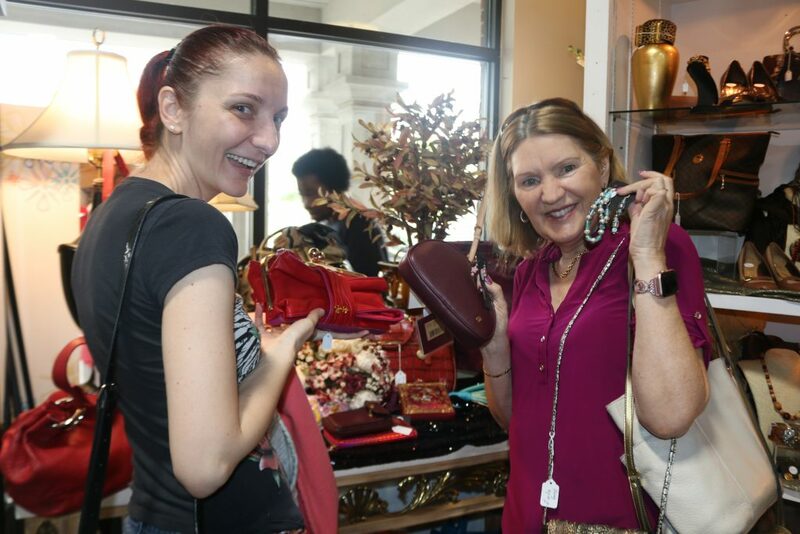 One of our favorite events at the Thrift Shop is “Bags and Bling”. We save up our designer bags all year. 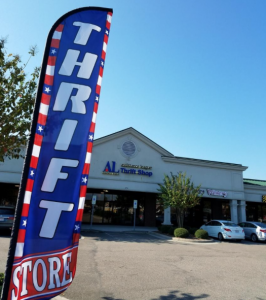 In the fall we have our sale and our customers come back every year to get a great deal. 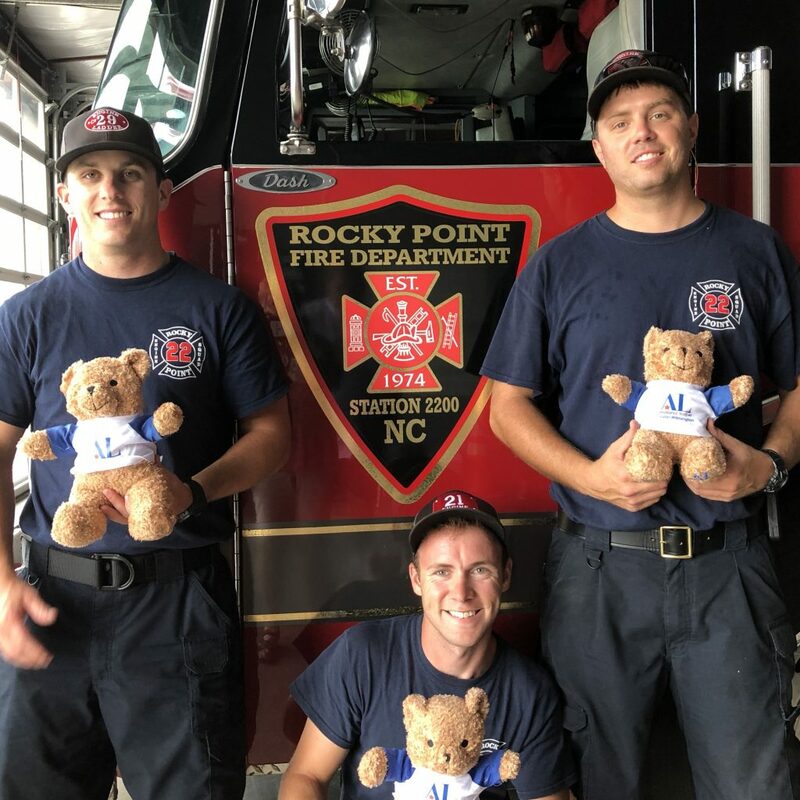 The Rocky Point Fire Department received teddy bears to give to children in distress. These little bears bring comfort to these children. It was fun to relax and get to know each other on a summer evening. Chief W. Sullivan, Pender County EMS, Burgaw, Patricia Gopsill, Assistance League of Greater Wilmington. 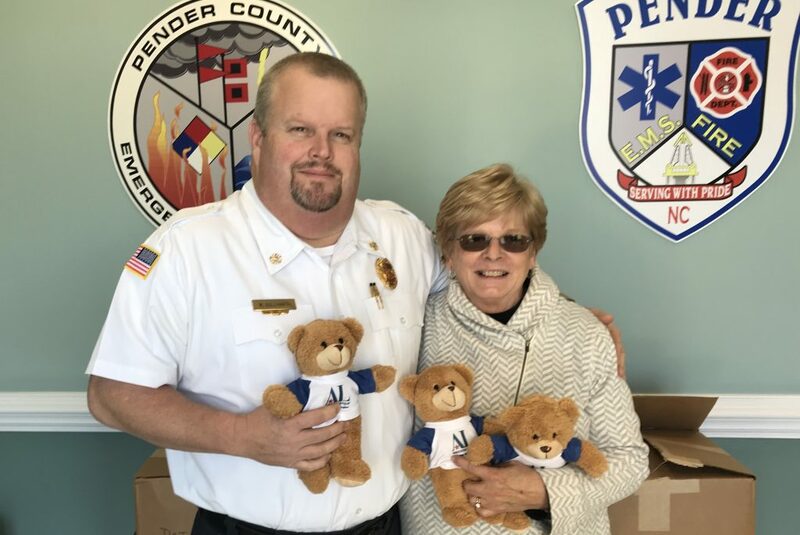 Assistance League of Greater Wilmington has gifted Teddy Bears to the Pender County EMS. 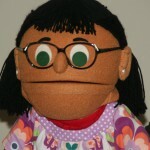 They have stated that these bears bring comfort and smiles to the children who receive them in the time of need.